Robert Aickman, the supreme master of the supernatural, brings together eight stories where strange things happen that the reader is unable to predict. His characters are often lonely and middle-aged but all have the same thing in common - they are all brought to the brink of an abyss that shows how terrifyingly fragile our piece of mind actually is. 'The Next Glade', 'Bind Your Hair' and 'The Stains' appeared together in The Wine-Dark Sea in 1988 while 'The Unsettled Dust', 'The House of the Russians', 'No Stronger Than a Flower', 'The Cicerones' and 'Ravissante' first appeared in Sub Rosa in 1968. The stories were published together as The Unsettled Dust in 1990. 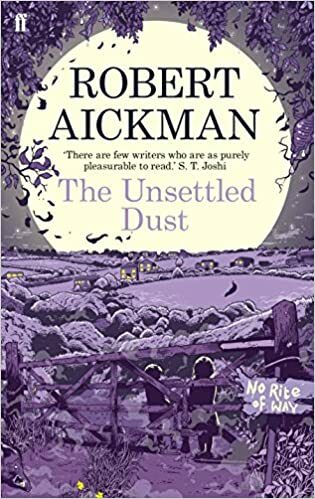 Aickman received the British Fantasy Award in 1981 for 'The Stains', which had first appeared in the anthology New Terrors (1980), before appearing in the last original posthumous collection of Aickman's short stories, Night Voices (1985). "We are all potential victims of the powers Aickman so skilfully conjures and commands". (Robert Bloch).